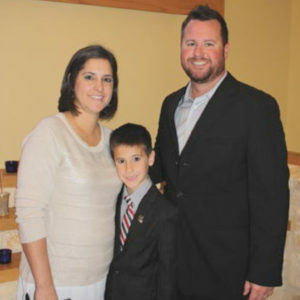 Meet father, husband, and baseball coach, Joseph Randolf (JR) Bardin and his family. In the summer of 2016, a blood clot formed in his right arm, and doctors had to amputate it in order to save his life. He was then diagnosed with Arterial Thoracic Outlet Syndrome. Unfortunately, there was not enough bloodflow to his arm after his first surgery, causing JR to require a second amputation. After a difficult healing and recovery journey, JR is now eligible to get a prosthetic arm. A portion of the funds raised at the 2018 CFST Clays for Cardio Shoot-Out will go to the Bardin family to help them with JR’s medical expenses and to help him get a prosthetic arm.